Floor Runners & Long Entry Rugs | Collections Etc. 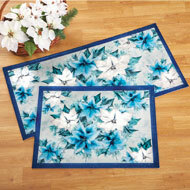 Add extra comfort, style and warmth to your home with floor runners and entry rugs from Collections Etc. Available in a huge variety of colors, patterns and materials, these rugs effortlessly complement any home décor style without breaking the bank. We can help you find the right long runner rug or entry rug for your unique design style, whether it’s classic, country, rustic, contemporary or earthy. 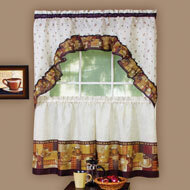 From nautical rug runners to floral rug runners, Collections Etc. has a style that speaks to your unique vision! Long carpet runners are traditionally used as floor coverings in hallways and slim walkways, such as in a small area between a couch and a wall. They are perfect for ensuring that the majority of your home’s high-traffic areas are covered for extra safety, comfort and protection of your flooring. The best part about shopping for runners at Collections Etc. is that we have options in all sorts of unique styles and colors, including classics like beige, navy, green and burgundy. Rug runners from our selection often feature skid-resistant backings and luxurious pile for a comfy feel underfoot. To tie your entire décor scheme together, consider one of our runner and entry mat sets that comes with a long rug and a smaller matching entry mat. Place entry rugs at the threshold of your door (inside) to collect dirt and protect your floors in one of the home’s most-trafficked areas. These rugs are available in multiple different sizes to perfectly suit your existing color and design. Collections Etc. specializes in offering unique, affordable rugs and décor, so make sure to explore our entire selection for more excellent deals.